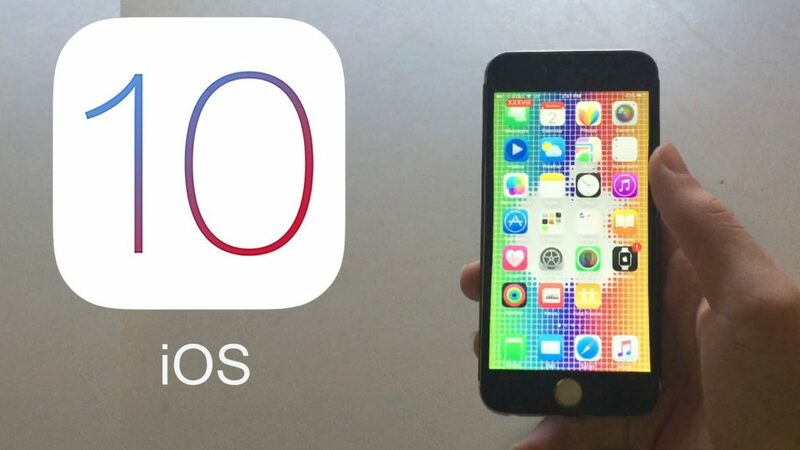 Couple of weeks back, we shared with you some features the upcoming iOS 10 OS will be bringing to the table. 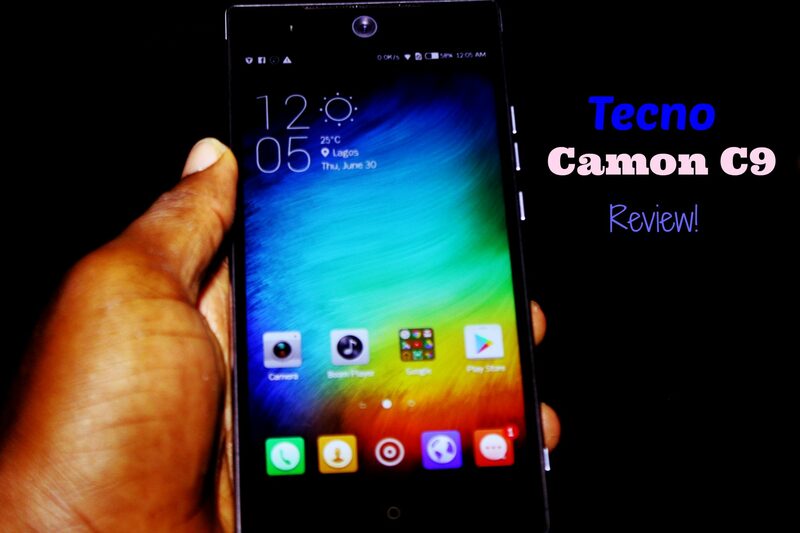 At the time, only developers could test out the new features and thankfully, the first public beta is now available. Doing a normal OTA update on your iPhone or iPad won’t bring up the iOS 10 update. And that’s because it’s a public beta version and thus, there’s some certain steps to follow and I’d be sharing them with you in a bit. I currently have iOS 10 public beta running on my iPhone and hopefully in subsequent posts, I’d be sharing screenshots of what the update looks like and what to expect. iPd Touch 6th gen and newer. Just before you go further on this, please make a full backup of your device to your computer using iTunes. We understand you may not want to adhere to this instruction but we strongly advice you do. 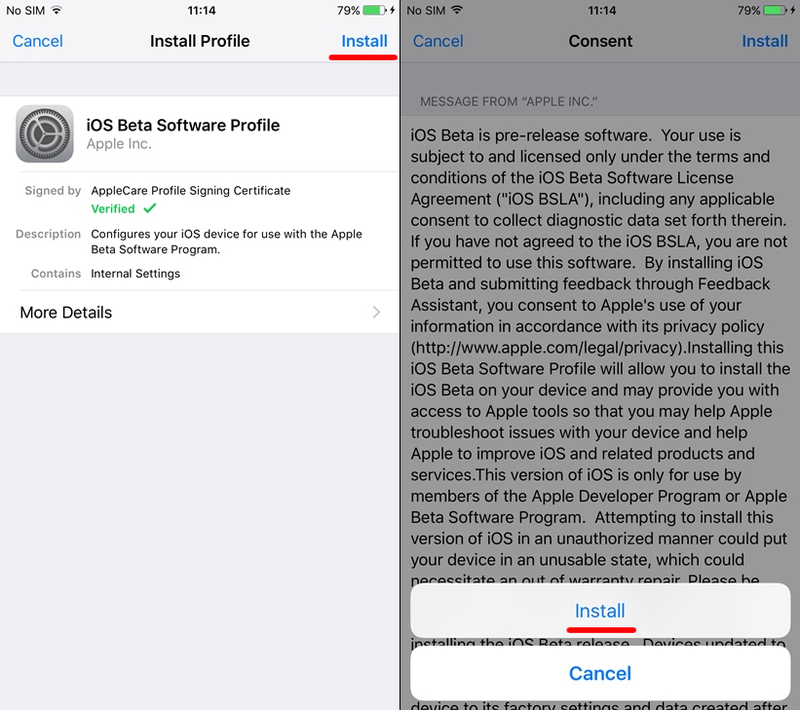 After backing up, you need to enroll your iOS device for public betas. To get this done, using safari browser, go to https://beta.apple.com/profile. Sign in with your Apple ID details and thereafter, accept the Terms of Service (I can understand you don’t read those). Scroll down to the Get Started session and tap on Enroll your iOS device. Swipe down on the next page and select Download Profile. The settings profile will automatically be pushed to your device. 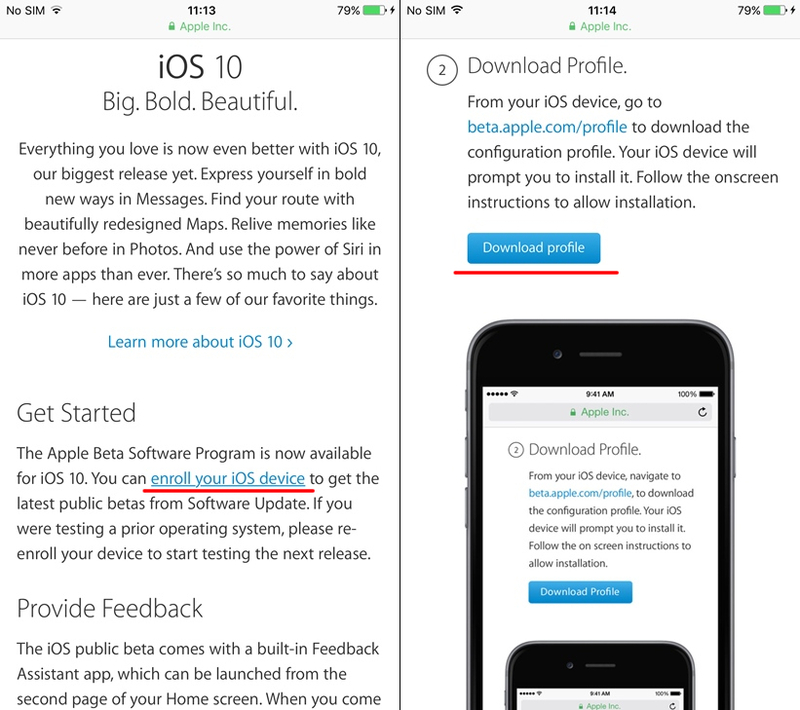 You will thereafter, need to install the public beta profile by tapping the install button on the top bar. Again, agree to the Terms of service and tap Install again. This will install the profile and will prompt you to reboot. Please don’t hesitate to reboot. 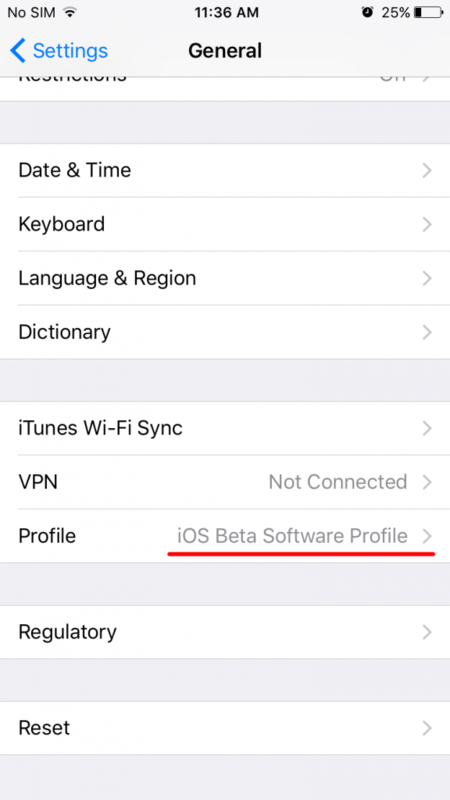 When rebooting is complete, you can confirm you are running the public beta profile by navigating to settings > General > scroll down to Profile. Next, would be having to force out the iOS 10 first public beta OS. 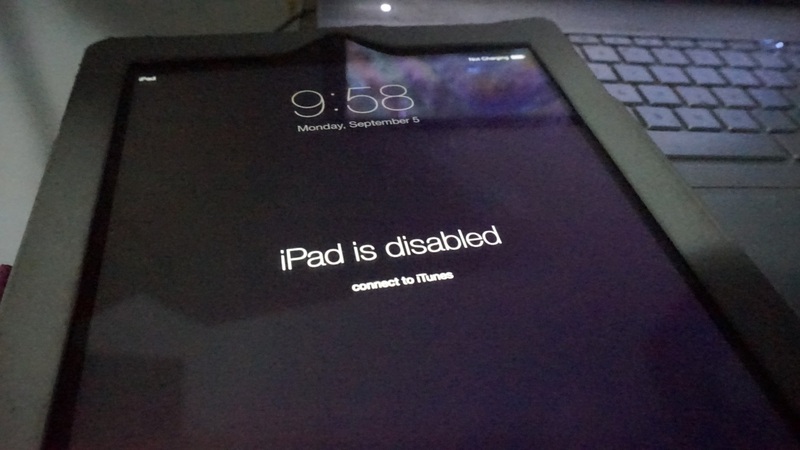 To do this, simply go back to General and thereafter, tap on software update. The iOS 10 beta update should show up after a few seconds. If you have enough data on your device as size is over 1GB, hit the Download and Install option and when it’s completed, choose to install and enjoy the new iOS 10. 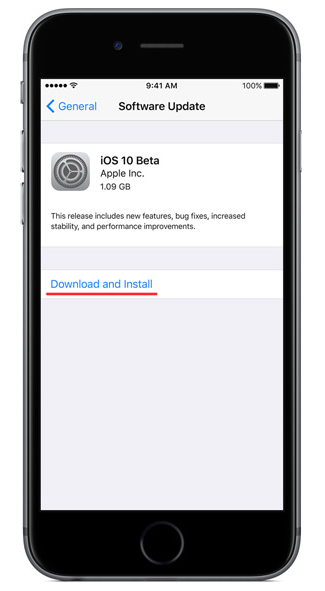 Please note, this is just the public beta version which translates to the iOS 10 OS being in it’s testing stage. 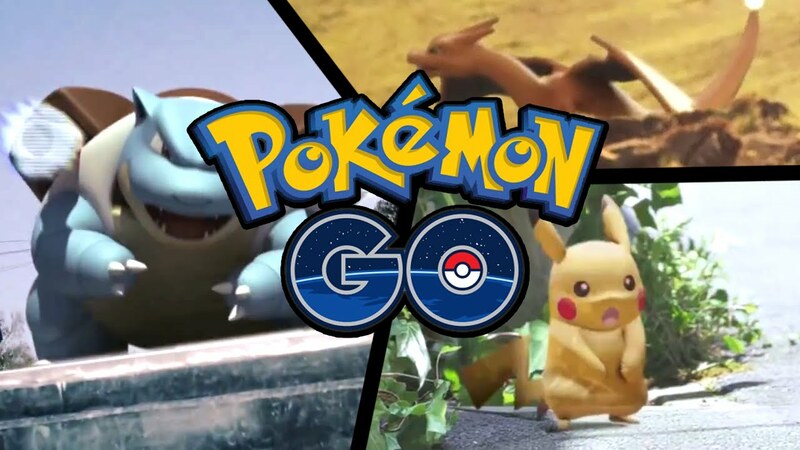 Therefore, experiencing some bugs shouldn’t come as a surprise to you. If for any reason, you want to revert back to the older OS your iPhone or iPad was operating on, just restore the backup file in step one.